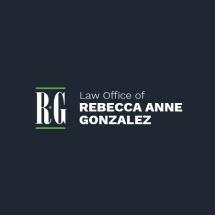 The Law Offices of Rebecca Anne Gonzalez offers comprehensive, results-driven family law representation. Based in San Antonio, Texas, my law firm is prepared to assist clients statewide with their legal issues. MoreThe Law Offices of Rebecca Anne Gonzalez offers comprehensive, results-driven family law representation. Based in San Antonio, Texas, my law firm is prepared to assist clients statewide with their legal issues. In my family law practice I am prepared to assist with a wide range of legal matters, including contested divorce, uncontested divorce, domestic partnerships, child custody, child support, adoption, child protective services and military divorce. I also have the skill and knowledge to help homeowners and associations with various HOA issues, such as document review and courtroom litigation. My San Antonio law firm offers comprehensive legal services dedicated to not only resolving my clients' current legal problems, but to developing strong and ongoing attorney-client relationships that can address family law matters for years to come. I understand that family law challenges require aggressive advocacy coupled with compassionate service. As your attorney, I will navigate you skillfully through every step in the legal process, addressing your needs as soon as they arise. My practice is also results-driven, so I am not afraid to fiercely advocate on your behalf for the best possible outcome, either in negotiations or litigation. Contact the Law Offices of Rebecca Anne Gonzalez today to discuss how I can help with your legal matter. My consultations are free and confidential, and I can meet on evenings or weekends at my law firm upon request. My legal fees are reasonable, and I accept all major credit cards.